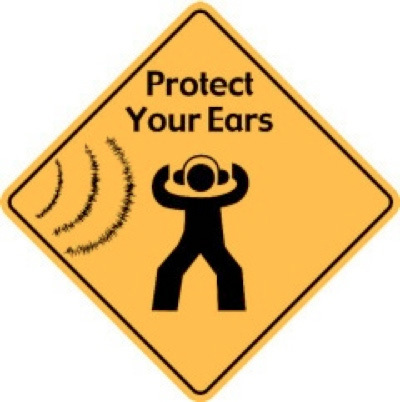 The Collective Prevention Services (CPS), urges the population to be aware that loud music can cause hearing damage, especially in young children, and as such it is important to protect them from loud pitches, tones and in general overly loud music by avoiding these as much as possible, and avoid standing in close proximity of speakers of sound trucks. Noise, like all sounds, is measured by the intensity and frequency of the sound waves that hit the ear. The unit used to measure the volume of sound is the decibel (dB). The greater the number of decibels, the louder the noise and the more harmful it is to the ears. Environmental noise exposure, such as road traffic, aircraft and/or sudden high-level noise, is associated with a range of health outcomes in children. Children demonstrate annoyance responses to noise, and noise is also related to lower well-being and stress responses, such as increased levels of adrenaline and noradrenaline. Studies also suggest that noise might cause changes in cardiovascular functioning. Prolonged exposure can result in damage, which can be irreversible, and parents and guardians are being advised to pay attention to this during the Children’s Parade. Hearing loss may be mild, moderate, severe, or profound. It can affect one ear or both ears, and leads to difficulty in hearing conversational speech or loud sounds. CPS advises parents to monitor their children during Carnival activities that they don’t stand near speakers with loud music as this could be damaging to the child’s ear. Take the following steps to minimize the risks and protect your child from the physical and psychological effects of noise: Ensure that he or she wears child-sized hearing protection, such as earplugs or earmuffs, during noisy activities and events. Limit the amount of time spent on noisy activities. Instruct him or her to walk away from sources of loud noises. Have your child’s hearing tested if he/she routinely participates in noisy activities, such as playing an instrument or attending musical activities or sporting events. 'Hard of hearing' refers to people with hearing loss ranging from mild to severe. Tinnitus, often described as a ringing or buzzing sound in the ear, is a symptom associated with many forms of hearing loss. People who are hard of hearing usually communicate through spoken language and can benefit from hearing aids, cochlear implants, and other assistive devices as well as captioning. People with more significant hearing losses may benefit from cochlear implants. 'Deaf' people mostly have profound hearing loss, which implies very little or no hearing. They often use sign language for communication. The causes of hearing loss and deafness can be divided into congenital causes and acquired causes. Congenital causes may lead to hearing loss being present at or acquired soon after birth. Hearing loss can be caused by hereditary and non-hereditary genetic factors or by certain complications during pregnancy and childbirth, including: maternal rubella, syphilis or certain other infections during pregnancy. Other causes of congenital loss are: low birth weight; birth asphyxia (a lack of oxygen at the time of birth); inappropriate use of particular drugs during pregnancy, such as aminoglycosides, cytotoxic drugs, antimalarial drugs, and diuretics; severe jaundice in the neonatal period, which can damage the hearing nerve in a new-born infant. Other acquired hearing losses are: ageing, in particular due to degeneration of sensory cells; and wax or foreign bodies blocking the ear canal. Among children, chronic otitis media is a common cause of hearing loss. It is recommended to seek expert medical consultation if your child experiences any of the following symptoms: Asks people to repeat themselves; regularly hears ringing, roaring, or hissing sounds; speaks loudly or raises voice to be understood by someone standing nearby; does not react to unexpected loud noises.